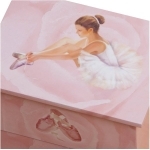 A very pretty musical jewellery storage box in pretty pinks with a ballerina who dances when the lid is opened. A perfect box for girls who love pink and ballet and want a special box to put trinkets in. 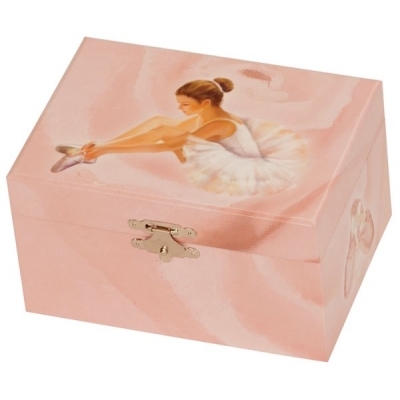 It has pretty picture of a ballerina on the lid and ballet shoes and flowers design around the sides. The jewelery box has a plush pink lining, winds up from the back and makes a lovely gift.